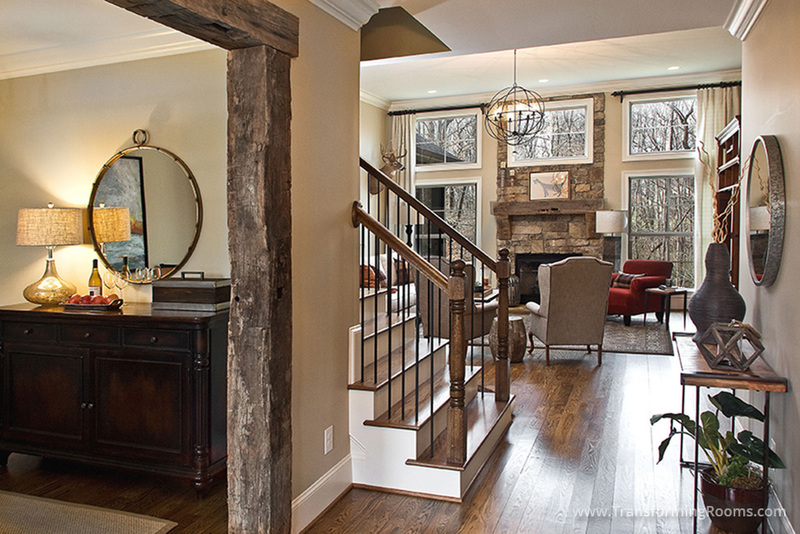 This Oak Ridge, NC living room is inviting due to the furniture and rustic beams. The rustic beams actually came from the family farm. 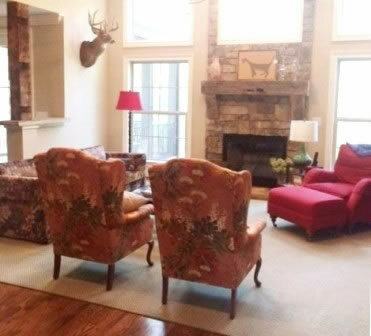 Their age and character give this Oakridge home the inviting rustic feel the homeowners desired. We recovered the pair of chairs, and moved furniture in the home, to areas where size and scale made for a better fit!